The book, "Unheard, Unseen, Unreached Part II" contains excerpts where the domestic workers and child domestic workers have told their stories expressing their pain and fear and how the movement has played key role by becoming a ray of hope in their lives. The National Domestic Workers Alliance (USA) recently unveiled the Domestic Worker Organizing Toolbox. It is an incredible resource filled with a wide range of tools to support domestic worker organizations in achieving growth and impact. This fifth DemandAT working paper aims to provide a framework for research that captures some of the specificities of work in a domestic setting. This will provide common ground for the series of country studies that are to follow. 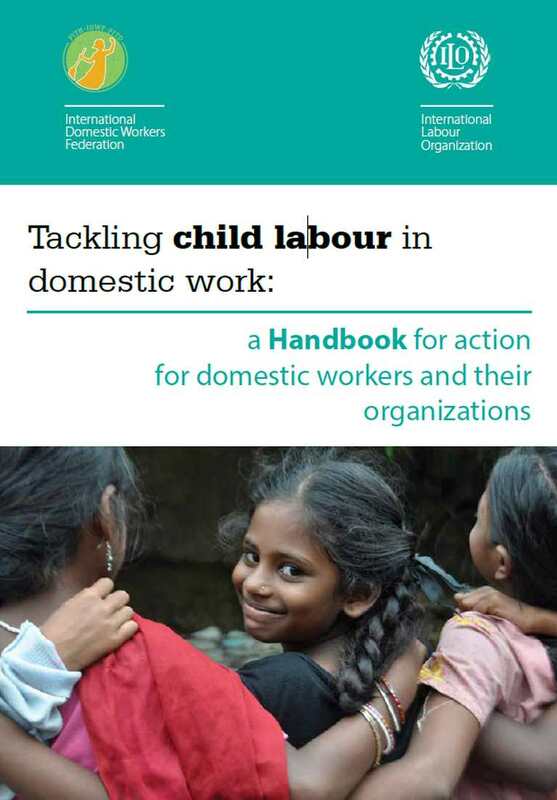 The Resource Manual is a comprehensive document on the issue of engagement of children in domestic work that is intended to provide support to organisations ranging from trade unions, child rights organisations/NGOs, and others to take action against child domestic labour and to protect young domestic workers of legal working age. It has been especially developed to strengthen the capacity of trade unions and worker groups, community-based organisations and NGOs to advocate for an end to exploitation and abuse of children in domestic work, and to provide good practice guidance on the best ways of directly supporting these children so that they get access to education, social protection schemes and thus a fulfilled childhood. This report presents the findings of a multi-country study into the psychosocial wellbeing of child domestic workers (CDWs) across three continents. The study was conducted in Peru, Costa Rica, Togo, Tanzania, India and Philippines during 2009 with around 3,000 children, mostly between the ages of 10 and 17; half of whom work as paid or unpaid domestic workers. This study makes an important contribution to our understanding of child domestic work and provides important indicators in terms of the situation and circumstances that most affect these child workers as well as the aspects of their life that provide resilience and contribute to their wellbeing in a positive way. A comprehensive collection of educational resources and a lot of publication links. During the Global Child Labour Conference 2010 (The Hague, The Netherlands) IPEC and its partners have launched 22 good practices (GPs) from all over the world. Human Rights Watch is one of the world’s leading independent organizations dedicated to defending and protecting human rights. Human Rights Watch has published many reports on migrant domestic workers and child domestic workers. A great source for all ILO documents: ILO – Labordoc It provides an increasing number of links to online publications available on the Internet. Children-Women In Social Service and Human Rights (CWISH), Chabahil, Kathmandu. The objective of the workshop was to examine the role of workers' organizations in the elimination and prevention of child domestic labour, to identify specific strategies which workers¿ organizations would be particularly well-equipped to undertake and to contribute to the elaboration of an ILO-IPEC manual for trade unions on child domestic labour.